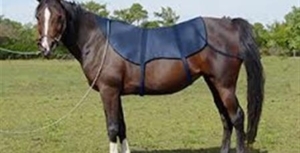 Ulle provides the most advanced, non-invasive technologies available for emotional therapy of horses using the L.I.F.E. System and P.I.P. (Energy Field Assessment System). The foundation of each session lies in the understanding and application of Quantum Vibration Energy. The L.I.F.E System is a non invasive, sophisticated form of biofeedback for horses and people that helps stabilize their emotional imbalances. The reason the L.I.F.E System is so valuable for your horse’s health is that it scans their subconscious to find exactly what is stressing them: mentally, emotionally and physically. The information is specific to them. The L.F.E. System will help to specifically de-program their impulsiveness. For example, the system will scan them to find the ten top emotional or mental stresses bothering them at any particular moment. And then it will de-program those stresses to give them peace and a sense of well-being.Horses are prey animals, they are the embodiment of the fear response and fear is quickly remembered and never forgotten. The L.I.F.E System can help to specifically de-program their impulsiveness by isolating the strongest emotional or mental stresses. Some of the many ways Equine Emotions can help your horse emotionally include: Anger Reduction, Anxiety Reduction, Attitude Change, Behavior Change, Stress Reduction, Well-being, Emotional Trauma, Fear, Grief, Irritability, Trust, Sadness, Shock, and more. * Recent studies of horses, dogs, chimpanzees, and other animals support the idea that animals experience fear, jealousy, grief, and love (Animal Planet Aug. 15, 2003). * An animal’s cells (as well as those of people) retain the memory of every event – good or painful. ie. Human and Horse share 83.6% beta globin, a component of DNA, 53% of all equine genes appeared on chromosomes in the same order as humans. We share similar biological anatomy. Amygdala: memory storage of emotional events. Limbic system: body’s neuro-chemical pathways. Hippocampus: episodic and emotional memory. All of these have to do with emotional responses that can be helped with L.I.F.E System sessions. HOW DOES THE L.I.F.E SYSTEM WORK? 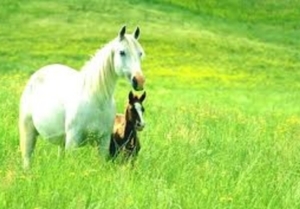 Information is sent, similar to sonar, to the horse’s energetic and aura fields. Patterns of information are then interpreted to create an energetic picture of distortions and imbalances within the energetic and cellular fields. The L.I.F.E System biofeedback device sends a low voltage, square wave signal with amplitude of 5 Volt, and a duty cycle of 50% to the harness. The frequency to be applied, for determination of our test, is about 47.3 kHz. The software analyzes the tri-vector frequencies using complex mathematical calculations. 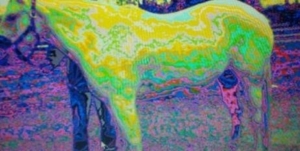 The computer software calculates an average value of response of every vibration signature between 0 and 2000, which results in a list defining the horse’s acute and chronic conditions. The information provided, in the form of numerical percentages, bar graphs and subsequent descriptors, provides clues to the wellness of the horse’s energy field. – detects emotional imbalances by utilizing collected information from electromagnetic frequencies sent out via advanced computer-software and a high technology interface box. – assists the body´s natural defense mechanisms which can lead to a better health and wellness. WHAT IS A QUANTUM VIBRATION ENERGY? “Quantum Vibration Energy” conjures up an image of something vibrating or making a sound. Sound waves are the most familiar form of vibrations people think about when they use the term “vibration”. But sound waves are actually just one form of vibrating energy. Light is another form of vibration or oscillating energy. They are two examples of the many types of energy that makes up the electromagnetic spectrum, which includes radio waves, television signals, X-rays, ultrasonic waves, and microwaves. According to the proven discoveries of Einstein’s law of particle / wave duality and quantum physics, the biochemical molecules that make up the physical body are actually a form of vibrating energy. ENERGY FIELD ASSESSMENT WITH P.I.P. The P.I.P. – Polycontrast Interference Photography scanning process is internationally recognized as the ultimate “energy field imaging system”. It is an effective, safe and non-invasive assessment system. P.I.P. is used in many ways, from medical & clinical research and diagnosis, to energy field assessment (aura field, organs, meridians, chakras); evaluate health issues; show developing and existing stresses to the body and provides an evaluation of healing methods. P.I.P. can reveal both the symptoms and root disharmonies of a disease and demonstrates effectiveness of or treatment(s). One of the most interesting feature of the P.I.P is its ability to highlight potential and developing issues within the energetic field, many years before they manifest and cause disease to the body. P.I.P. highlights areas of well-being and disease with clear patterns and colors. It reveals the interference and transference of light patterns, at and beyond, the visible spectrum and shows energy dynamics at work in a live real time image. P.I.P. is used by a wide range of scientific researchers, medical institutions and complementary health practitioners around the world. Such organizations include; MIT College (USA), World Peace Centre (INDIA); The Centre for Human Energy Field Research (INDIA); Zoroastrian College (INDIA); University of Greece (GREECE); The Psychical Research Group (UK); Anandi Niwas Hospital & Sonography Clinic (INDIA); The Energy Centre, Exeter (INDIA); Essential Energies (UK). 2. Daily stress related to environment. * The therapist and client will decide after one month, if another session is required. – Test and overview on the energetic state of the entire body. – Restoring balance and unblocking of stress by influencing the bio-field with L.I.F.E system. * Sessions are suitable for use in combination with allopathic and holistic therapies.